On Mina Shum’s New Documentary The Ninth Floor, The Computer Riot, And The Concordia Faculty Member Involved In It All. Canadian history has a dark African twist, but you wouldn’t know from reading your high school textbook. History classes merely skim Black narratives. Even the fate of Marie-Josephe Angelique—the slave hanged in 1734 after being convicted of burning much of Montreal—seems only a footnote from the past. Enter Ninth Floor, a documentary about the Sir George Williams University Computer Riot, which recently screened at the Toronto International Film Festival. In 1969, students protested against biology teacher Perry Anderson—infamously accused of racism—and the institution that backed him, with riots that escalated into vandalism and arson in the Hall building of what is today Concordia University. Ninth Floor features one professor who was involved in the events and still teaches at Concordia. Dr. Clarence Bayne, professor of economics, proposes an alternate history. “I don’t think he was racist,” says Bayne of the beleaguered Anderson, though he makes no apology for his behaviour. Independent director Mina Shum’s feature received widespread acclaim—she was presented the Women in Film Artistic Merit Award at the Vancouver International Film Festival—for the film’s depiction of the largest student occupation in history told from the viewpoint of some of its foremost players. Black Canadian history told by Black people. It’s the tale of foreign students whose encounters with racism happened in a school and city reputed for diversity and tolerance. The recent Expo 67’s host city hid its ugly side well. 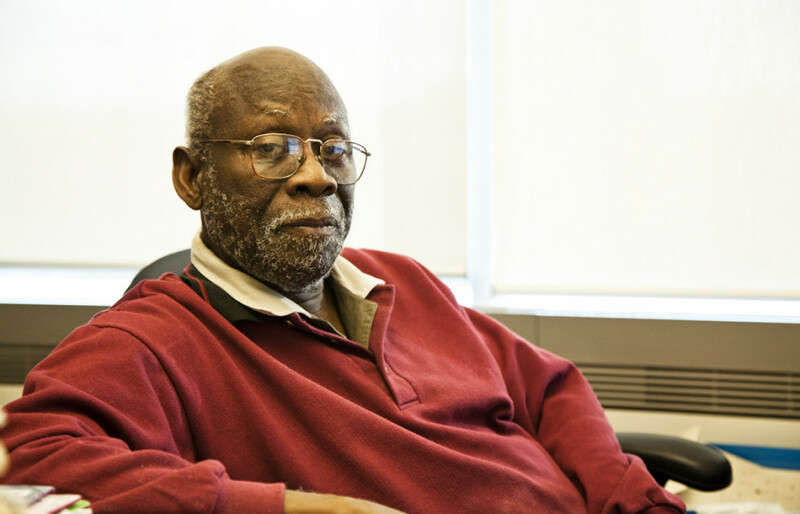 In the spring of 1968, Anderson gave six West Indian students low or failing grades in his biology class—a crucial course for entrance into medicine at McGill. They lodged a complaint to the Dean of Students. In the fall of that same year, the complaint grew into a hearing committee. “But, when they did statistical tests, they didn’t find that he failed black students anymore than he failed the average white students,” says Bayne. “So, this came down to a question of belief. Comprised of representatives of the students, administration and the professor, Dr. Bayne was invited to join the committee set up to judge whether or not Anderson failed the six out of malice. Ninth Floor is an intimate look at how a convoluted powder keg blew up in a ninth floor fire ignited by god-knows-who. Shum’s documentary details the events with deft accuracy and poignant emotion. She gives voice to two of the original complainants—Rodney John and Terrence Ballantyne—and lets them tell a story of injustice in their own words. A clash of cultures that altered the course of their lives. However, Bayne says the film fails to extend this voice to the Black population that lived in Montreal in the sixties. Watching Ninth Floor, you’d think Little Burgundy—a historically black neighbourhood—didn’t exist at that time. No doubt, the sixties were a rough time to be a minority in Canada. However, the film manipulates its audience into believing without question that the protesters were holier-than-thou victims of a racist institution. Shum is quite adept at simplifying a complicated matter. Yet, oversimplification does a disservice to history’s divergent points of view as well as the complexity of the Black power movement north of the border. Still, the documentary stands as a cultural breakthrough. Participants of the Computer Riot are known to be reticent about talking in public about their past involvement. Most have established themselves in society and don’t wish to pick at old wounds. To get so many to lend their trust to a camera is a tour-de-force. Members of hearing committee were tasked with interviewing the accused, the complainants, and the administration, hold public meetings where the parties would make depositions accompanied by their lawyers, and then come to a decision. Bayne is well into his 70s. An immigrant from Trinidad and Tobago, he has spent his entire career at Concordia University. He smiles recalling the deliberation amongst the West Indian students. In the documentary, Bayne mentions that students confronted him near the escalators at the entrance of the Hall building. On Jan. 29, after a hearing, the complainants and some 200 angry supporters occupied the Computer Centre on the ninth floor of the Hall building. The protest was aimed at the perceived institutional racism in the school—the ultimately exonerated Perry Anderson was barely ever mentioned by that time. Nine days later the occupation spread to the seventh floor. On Feb. 10, Concordia administration came to a settlement to end the occupation. The students thought they had won and celebrated. Some even went home. However, Bayne says the administration delayed the negotiations again. When the students caught wind of this, weeks of tension burst into open violence. Computer cards littered Mackay St. It cost the university $2 million in damages. Though nobody saw who started the fire, Rosie Douglas, one of the most vocal leaders of the occupation, was arrested for arson, along with 97 other protesters. Supersized riot police beat some to a pulp—like mild-mannered Hugo Ford, a student at the time, featured prominently in Ninth Floor. Bayne says the protesters, though angry, could never have set the centre ablaze. The documentary, through first-person interviews, takes an even larger leap of faith, utilizing footage of an FBI informant paid to spy on Douglas to imply the police caused the fire. Reflecting on the initial catalyst of the student protest, Bayne has his own theory.